What is a Communication Passport? We've preselected "All levels" for you, but you can change your study level at any time by choosing one of the options on this menu. Changing your study level will return you to the beginning of the module. The personal rewards of teaching children with SLD/PMLD/CLDD. Of interest to all target audiences. Learning about specialist teaching. Of particular interest to NQTs and those on Initial Teacher Training (ITT) courses. Becoming a Specialist Teacher of children with SLD/PMLD/CLDD. Of particular interest for CPD, induction and new entrants to SEN. Being a Specialist Teacher of children with SLD/PMLD/CLDD, of interest to those in Leadership positions in the field. See all resources in this module. Human speech is a central part of communication and interaction. 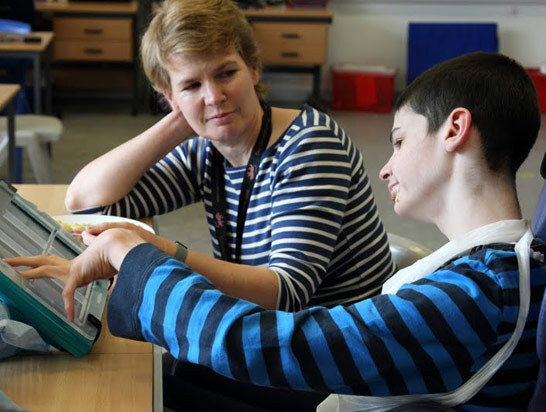 The complexity of the spoken word, and the fact that it is used by the great majority of people, means that voice communication aids make a vital AAC contribution. Most people use speaking to communicate. Most voice output communication aids have the facility to input a human voice. Young children, in particular, enjoy listening to the voice of a familiar adult speaking messages on their device. 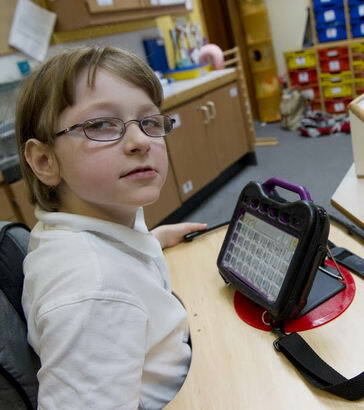 Allowing a child or young person to choose who they would like to input speech onto their device is likely to encourage their use of this device. When using an alternative way of communicating with someone with communication difficulties, such as signing, always accompany it with the spoken word. There is a wide range of synthetic 'voices' to choose from to record speech and messages on a communication device. In the same way that most adults respond better to some voices on their satellite navigation system than to others, children and young people with communication difficulties usually have strong preferences when choosing the voice that will speak for them.